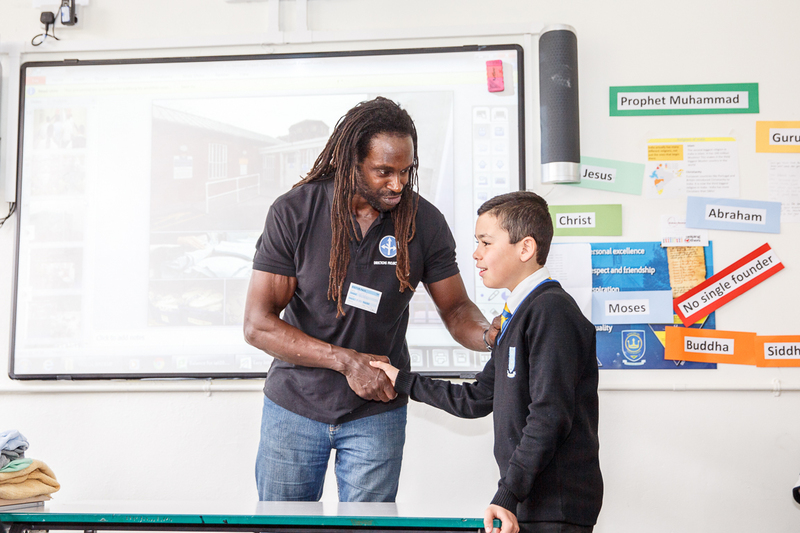 On Thursday 26th March 2015 an initiative called Your Life You Choose visited Kingsbury High School to deliver a programme to Year 7 students. The multi-agency initiative is aimed at deterring young people from a life of crime by making them aware of the consequences; it draws on the knowledge, expertise and experiences of Magistrates, the Metropolitan Police Service, Victim Support, Her Majesty’s Prison Service and ex-offenders from Directions Project UK. The 300 students met local Magistrates and were surprised to hear that they volunteer their time for free to protect our community; they met two Brent Police Officers who highlighted the seriousness of joint enterprise; they listened intently to ex-offenders who spoke in detail about life in prison, regrets and turning their lives around; they were repulsed to hear about used and reused prison wear and wall-less toilets from a Prison Manager at HMP Wormwood Scrubs; and they listened to representatives from Victim Support who offered advice and guidance about what to do if they ever find themselves in danger. Michael Sherwood, Custodial Manager at HMP Wormwood Scrubs said “Projects like these are invaluable in informing our young people of the consequences of coming to prison, the future problems of having a criminal record and the pain caused to both victim and their family when they commit a crime. We do not do enough as a society to teach our young people how to stay away from crime – everything they see is trivialised on TV or it makes great drama. Real life hurts more. “I have been assisting with projects like this for several years now and when you see the light switch on in a young persons eyes when they finally understand the problems associated with committing crime, going to prison, and having a life afterwards is very rewarding. Having watched the Police, the Magistrates, the Prison Service, Victim Support and ex-offenders all explain what happens, how it happens and what to expect, students reactions are classic. I for one enjoy delivering my piece of the project and I hope that it keeps at least that one person from crime. The day culminated in an assembly where students heard from The Mayor of Brent, Councillor Kana Naheerathan, followed by a question and answer session where students asked the visitors challenging questions to which the answers were wholeheartedly honest. This entry was posted in Kingsbury High School and tagged Brent Police, Directions Project UK, HMP Wormwood Scrubs, Kingsbury High School, Magistrates, Metropolitan Police Service, Victim Support, Your Life You Choose by wkkhs. Bookmark the permalink.